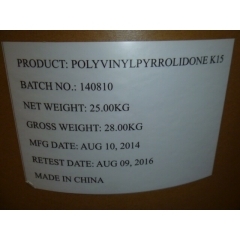 Polyvinylpyrrolidone K90 is kind of high viscosity compared with other Polyvinylpyrrolidone products. It exists in white powder or aqueous solution, and readily dissolves in water, alcohol, amine and halohydrocarbon, but is not dissolved in acetone and aether etc..
Polyvinylpyrrolidone K30 exists in white powder or aqueous solution. PVP readily dissolves in water, alcohol, amine and halohydrocarbon, but is not dissolved in acetone and aether etc..
Polyvinylpyrrolidone K17 exists as white or milk white powder. It can dissolve in water and a variety of organic solvents. It has good hygroscopicity, film-forming capability, complexing ability and physiological compatibility. 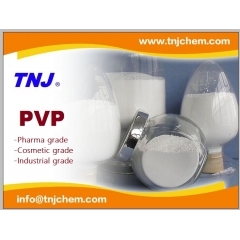 It is a kind of new excellent pharmaceutical excipient. Polyvinylpyrrolidone K15 exists in white powder. It is of low viscosity item in Povidone series products. It is easily soluble in water, alcohol, amine and halohydrocarbon, but insoluble in acetone and aether etc. 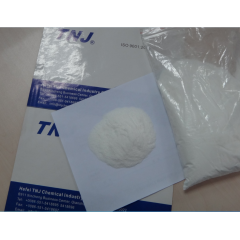 It is widely used in pharmaceutical, veterinary, food, cosmetic etc. Polyvinylpyrrolidone K25 exists in white powde. It is easily soluble in water, alcohol, amine and halohydrocarbon, but insoluble in acetone and aether etc. 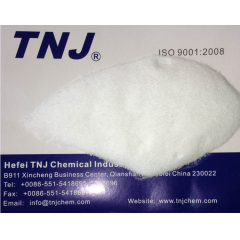 It is also steady to acid, salt and heat, so it is widely used in cosmetics, pharmaceuticals, industrial lines etc.